Registrations for this year's CiE are already reaching record levels. economics and the wider scientific world. the Computability Theoretic legacy of Turing and his contemporaries. jointly organised lecture with King's College). Logic (APAL) and the Journal of Computational Biology. 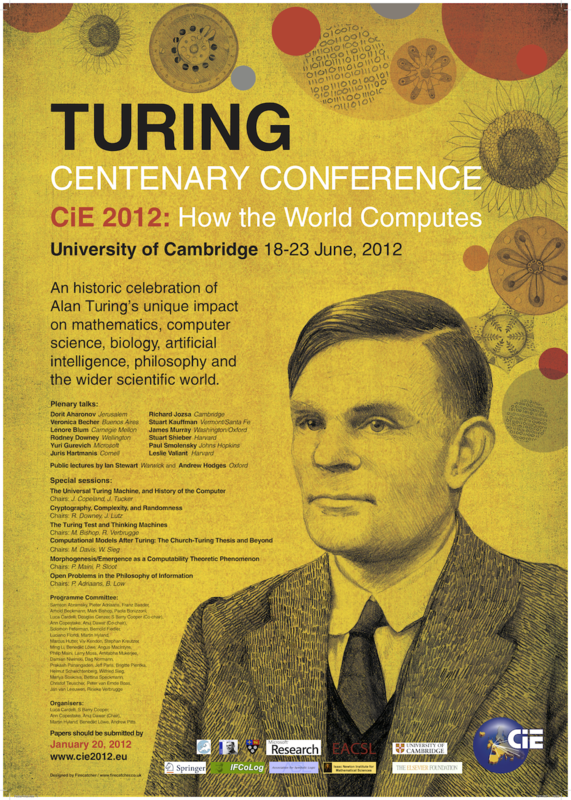 the visionary and seminal work of Turing will be particularly welcome.